The scientists used ring-shaped derivatives of corn starch, so-called cyclodextrins, for the network structure of the lacquers. These cyclodextrins were threaded like pearls onto long-chain polymer molecules. In the polyrotaxanes produced in this way, the cyclodextrins on the polymer thread can move almost freely on certain sections on the linear polymer and are prevented from unthreading by bulky stopper molecules. The pearl chains are cross-linked by a chemical reaction. When exposed to heat, the cyclodextrin rings migrate back along the plastic threads into the area of the surface scratch, thus compensating for the gap formed by the scratch. 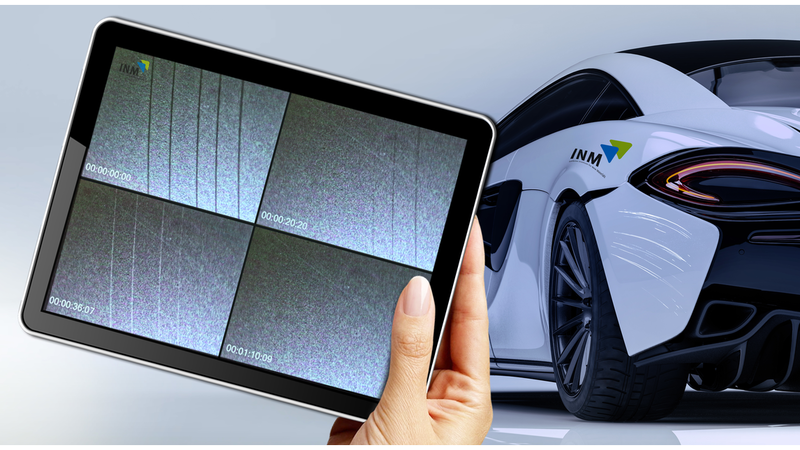 For a functional coating with higher mechanical stability and weather resistance, the INM scientists changed the composition of the polyrotaxanes by adding further ingredients such as heteropolysiloxanes and inorganic nanoparticles. At the same time, they were able to reduce the original repair time from several hours to just a few minutes. It is now possible to remove micro-scratches in just one minute at 100 degrees Celsius. In their series of tests, the scientists took into account the standard ISO guidelines of the paint industry.